Dell said it will replace defective screens on its XPS 12 convertible laptops affected by a rash of “burn in” flaws free of charge, even if the units are beyond warranty coverage. The XPS 12, which sells for about $1,000 in its base configuration, features a flip-hinge 12.5-inch screen that users can rotate to change the unit’s format from an ultrabook to a tablet. Dell offers one year of standard support for the unit. Users have taken to Dell forums to report a series of problems with the displays, typically describing images that remain on the screen even after navigating away from a page. According to a PC World account, one Dell user posted in a forum post that “a bright image on [a] dark background stays on the screen for a couple of minutes and then I switch to [a] somewhat dark background, I can clearly see the previous image on the screen for some time before it fades away." A Dell spokesperson confirmed the image retention display problems on the XPS 12 and the vendor’s intention to replace the defective screens, including those outside of warranty. "This image retention does not affect the lifetime performance of the LCD display. Dell is replacing the displays for affected customers," the spokesperson said in an email to PC World. Dell said it has determined the source of the problem and is receiving replacement screens. 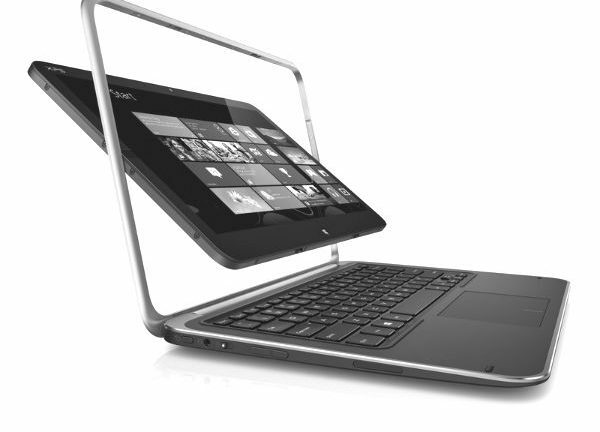 Dell technical support is handling users’ requests for XPS 12 replacement screens. In 2012, Apple (AAPL) MacBook Pro Retina users complained of screen burn-in issues and, more recently, some iPad Mini Retina users balked about similar display problems. Last spring, Lenovo ThinkPad X230 users took to forums to report image retention issues following similar complaints on the earlier X220 models. Last month, some Lenovo Yoga users posted comments on screen degradation as well. I got my screen 2 days ago and I’m already starting to we the windows logo show up. Its better then it was and hard to notice at all in other areas that were prominent 2 min into a image then left to gray screen. I hope this new screen stays like this I will be happy but if the image retention starts up again to previous levels ill be on the phone with dell again. 3 times screen replacement, 1 time send to depot, 2 times whole laptop replacement, yet the problem still remains. Dell told me the screen is still defective, adn they cannot find a solution yet. So, say NO to xps 12. Dell denies the existence of this repair offer as of 4 DEC 2018. Does anyone know a source or phone number within Dell to confirm and implement this warranty repair?